META-PROGRAMS AND WHAT ARE THEY? There is a domain in NLP that we called Meta-Programs. We use this domain to uncover personality patterns in people in terms of the way they think and the way they navigate through life by ‘reasons’ and by ‘processing’ information that they receive. In this manner the domain of Meta-programs is sometimes referred to as the domain in profiling people. 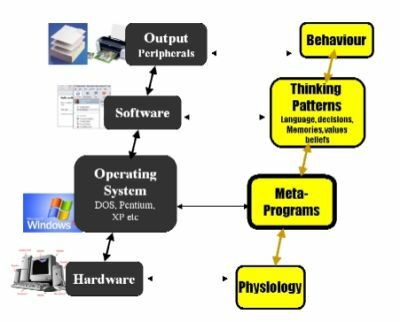 Fundamentally the model of Meta-Programs are perceptual filters that administer three main things; Attention, Sorting and Information Processing. Attention is what we pay attention to in our life. Sorting is the way we sort for certain information as we receive them. Information processing is the way we process information as well as emotion. Okay, and so what is Meta-Program that I can understand simply? We can look at meta-programs simply as those programs in our minds and eyes which over time and repetition we learned how to colour and filter our perception of things that we see, hear and feel and use them to navigate our ‘world’. It is like an operating system such as Windows, XP etc running in our personal computers. On top of that, we run other softwares to the needs of the time, and these softwares are equivalent to our thinking patterns by the language we use, the decisions we make, the memories we store, the values we uphold to and the beliefs we have. All these have to run on the hardware that we have installed. In this case the hardware is our physiology and neurology. As we get ourselves going daily by getting our operating system up and running, we generate thinking patterns that we finally output them as our behaviours to the outside world. And indeed as filters of perception meta-programs recognize what we pay attention to, sort for, look for and “see” around us. Okay, that is easy to understand when you compare it with a computer system flow. But where do our meta-programs come from? Good question. Meta-programs can appear either through natural makeup and tendencies, or from the experiences that we have learnt from. When we experience certain situation, we can’t but learned from it, and we sometimes get taught and coached in the way to sort out the information, to think the way that makes sense to us, and perceive the way we feel. And as these learnings, coaching, sorting and perceiving gets repeated and then solidified, the states (meta-states – the state that is above and beyond the primary states) that we get into; crystallize into becoming our mental program. As an example, have a look at someone who grew up being told “What’s wrong with you, can’t you see what’s actually happening?” “Don’t you see the big picture of the incident that is happening now?” “Don’t you see the forest for the trees?” We hear these three common statements being said. They merely indicate how a person is invited to view things on a bigger scale, i.e. globally. In contrast, when a person lives by instructions like “you got to pay special attention to the details!”, “the secret is in the specific details” “you certainly can’t get anywhere if you do not know the details, can you?” These three statements, however, pull someone towards learning to focus on the specifics and the details. What then would be a physiological indicator for persons running these sorting styles; these meta-programs? The details-focused person cares so much about the specifics, he/she tends to lean forward to capture the most out of the information they are given. However, for a person attending to global view of things, he/she tends to lean back, valuing the overall outlook to the experience and gesturing upwards as if trying to draw a big picture in space in front of him/her. In these two states, when they habituate so that we systematically and regularly apply them to our daily experience, we begin to take that as the way we perceive the experience. As we value these styles, believe in them and identify them with us and with what we are doing, the states become firmer and begin to solidify. As these states solidify, they begin to operate as a shade of consciousness that frames the way we perceive the ‘world’. Dr Michael Hall states that, “it structures our very sense of who we are, ourselves as a person and what we call our ‘personality’.” Yet meta-programs do not work as a typing of "personalities" but as a description of how people think, sort, and operate in given contexts, at given times, in this or that situation. So, when someone gets stuck to their meta-program pole, the way he/she sees the world makes sense to them….this is the way it is! When this happens, we begin to become inflexible. So if a meta-program is running, does it always run on all experience and situation that we come face-to-face with in our life? They can in some ways, but they typically do not. For the most part, meta-programs can shift and change depending on the contexts. We may operate differently at work than at home, during a party or a vacation. We must be clear here that meta-programs are not personality typing. They are simply a description of how people think, sort, and operate in a certain situation, at certain times, in given contexts. It is just a way of how a human functions, the way we ‘run our brain’. It is the program of the mind, emotion, speech, behaviour, and meaning that we used until it becomes our habitual way of operating. And that's why we can use them for profiling. But can we change our meta-programs? Certainly yes! Let’s get back to profiling. Profiling means that we can use meta-programs to match people up with tasks. We can use that to size up candidates for positions in an organization or a company. For instance, someone who has a strongly developed program for details will be much better suited for a task, job, and profession that allows that way of thinking and sorting for the required information. A civil, mechanical and/or petroleum engineer who works on designing an oil rig, requires that detailed workouts of projects that could run millions of dollars and that could also be a safety and environmental hazard if critical and detailed tasking is not undertaken. So the operational style of the job warrants such prerequisite. 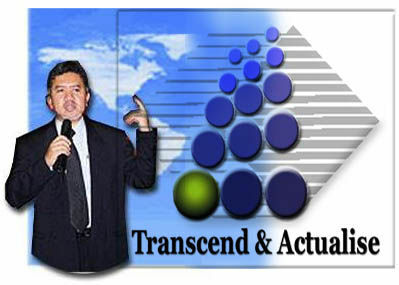 Conversely, the person who naturally or habitually sorts globally will experience a better fit with a task that calls for such general and global approach to a task like projecting a future outlook to the banking sectors and/or the industries that are sensitive to the past, current and future trends. We can also look into profiling to create a good team dynamic in an organization. Candidates who habitually and naturally match will find it easier to fit into a team. Conversely, those who mismatch, who sort for differences, may find it challenging to fit in a team without much resistance. Although it may seem “conflicting” and “negative” at times, a mismatcher can be an asset to the team in reality-testing to plans that the team has made and in a ready line to be tested before going into full production. So, is getting a mismatcher good or bad? It depends on how well you can incorporate a well-developed skill to good use in a team. So what does it take to identify these meta-programs ‘floating’ around unnoticed in candidates that you plan to hire? It takes a lot of listening skills and being acutely sensory-aware of the indicators demonstrate by the candidates. How do you pick it up and what to look for? So, have you decided on something that will benefit you? Have you started to see the lights at the end of the tunnel for you to change to become more resourceful? Are you still stuck at one corner of the meta-program pole? Are you glued to an extreme of a meta-program continuum? Do you like that or have you had enough of being condoned by such sticky pole? Are you ready to slide and move to the other side of the pole? Are you flamboyant enough to flexibly move up and down the continuum of the meta-program poles? What do you get from being flexible? And what do you lose from being one? Are you a rigid extremist or a flexible flamboyant? Are you ready for change to become a better person? Are you still the same old guy/gal who doesn’t wish to change…where you believe that making those little steps to change is a taboo? Do you ever tell yourself that it’s not you who needs the change, it’s the other person who really needs it? Is that frame still running in you? Do you still want to keep that? Have you had enough? So, what do you want to do now?